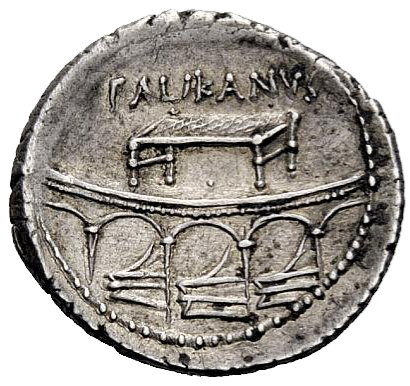 Lollius Palicanus was one of the moneyers for the year 45 BC. He is not otherwise known. Gens Lollia was a plebeian family at Rome. Members of the gens do not appear at Rome until the last century of the Republic. The first of the family to obtain the consulship was Marcus Lollius, in 21 BC. The Lollii appear to have been either of Samnite or Sabine origin, for a Samnite of this name is mentioned in the war with Pyrrhus and Marcus Lollius Palicanus, who was tribune of the plebs in 71 BC, is described as a native of Picenum. The only cognomen of the Lollii in the time of the Republic was Palicanus, but others appear under the Empire.